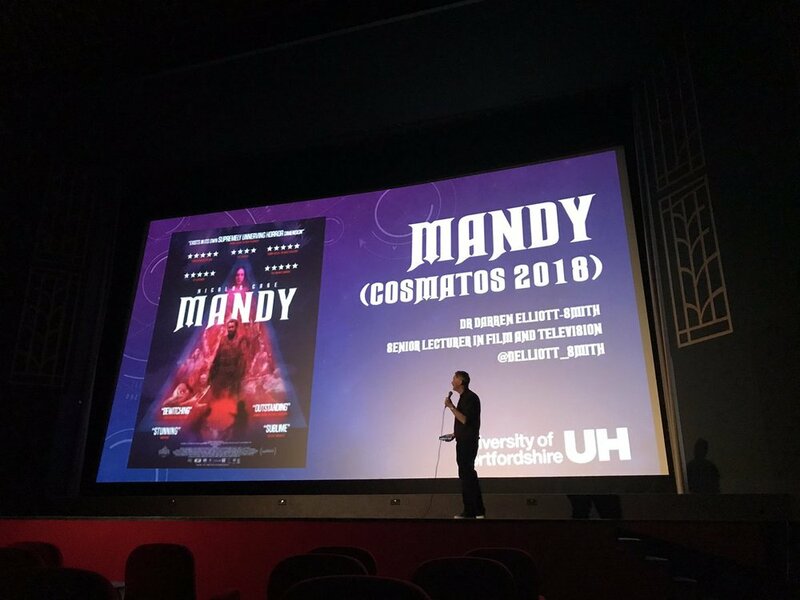 I’ve been delighted over the past few months to have delivered some introductions and post-screening discussions at my local picture-palace style art-deco cinema The Odyssey in St Albans. This is part of my ongoing project to work on programming and curations - delivering my research to the general public and widening access to the University, our department and our research/academics. So far there’s been: Hereditary (2018), The Thing (1982), Carrie (1976), Night of the Demon (1956), Mandy (2018) and coming up - Suspiria (2018) and Bell, Book and Candle as a Christmas Witchy special. I’ve posted some pics below… if you haven’t come along to one of their Cult Later Evening screenings - you’re really missing out !! !